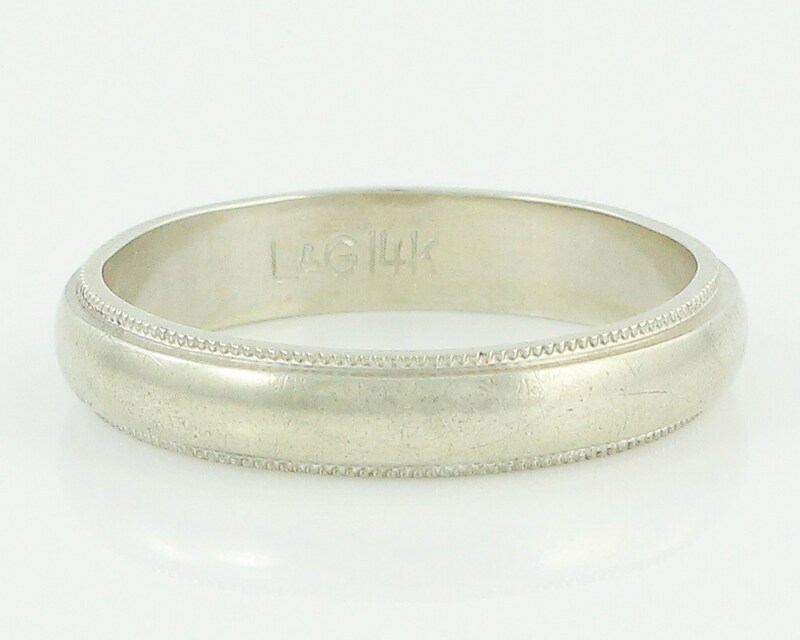 Vintage 14K White Gold Wedding Band with Milgrain Edge. 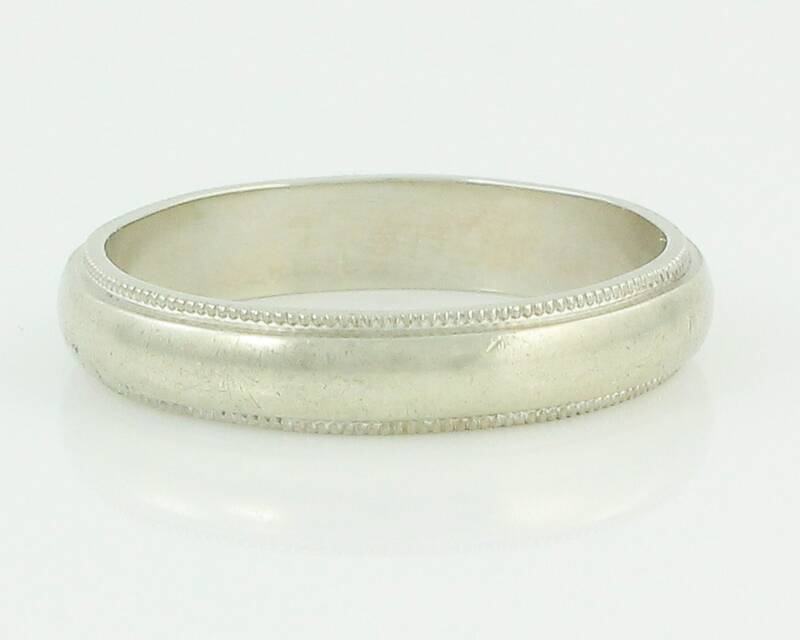 This solid white gold domed band would also be great for stacking. 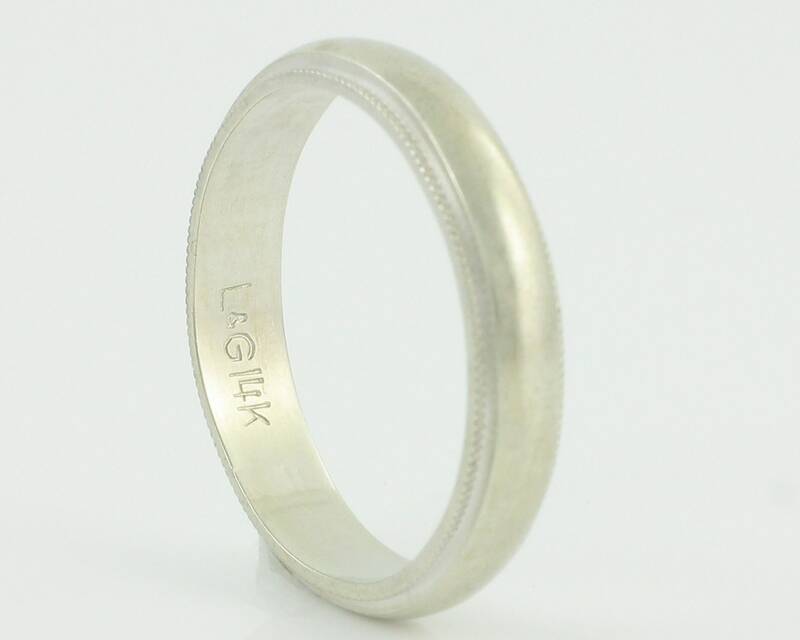 The band is 4 mm wide and 1.75 mm thick. It is a size 8 1/2. Condition: Good vintage condition, with lovely patina from years of wear. You can have your jeweler polish this off, but we love the soft glow it gives.